Speaking ahead of the weekly cabinet meeting, Israeli Finance Minister Yuval Steinitz said the government was now waging war on "a second front - of cyber-attacks against Israel". Mr Steinitz said in the past four days, Israel had "deflected 44 million cyber-attacks on government websites. All the attacks were thwarted except for one, which targeted a specific website that was down for six or seven minutes." His remarks came a day after the online activist group Anonymous claimed to have downed dozens of websites of Israeli state agencies and a top bank in protest over the Jewish state's deadly air assault. It also comes as both Israel and the Palestinians try exploiting the social networks in a furious effort to win over public opinion amid the worst outbreak of Middle East violence in four years. Mr Steinitz did not say who was responsible, but said the government had successfully managed to deflect almost every attack, thereby avoiding serious disruption or other damage. On Saturday, Anonymous claimed to have downed or erased the databases of nearly 700 Israeli private and public websites, including that of the Bank of Jerusalem finance house. It also claimed to have briefly downed the foreign ministry website in protest over an alleged Israeli threat to cut the Gaza Strip's Internet communications. 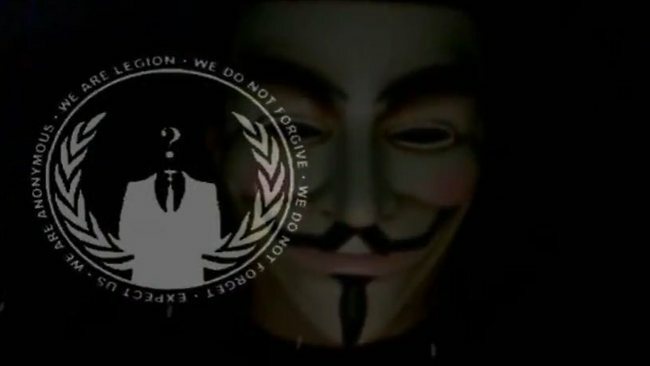 "For far too long, Anonymous has stood by with the rest of the world and watched in despair the barbaric, brutal and despicable treatment of the Palestinian people in the so called 'Occupied Territories' by the Israel Defence Force," Anonymous said in a statement. "But when the government of Israel publicly threatened to sever all internet and other telecommunications into and out of Gaza they crossed a line in the sand." Mr Steinitz made no direct reference to Anonymous and failed to specify if the government was dealing with a coordinated attack. He also refused to disclose which countries these efforts were being conducted from. But the minister stressed that the government had come up with backup for "essential websites" should they be taken down. "This is an unprecedented attack, and our success has been greater than we anticipated," Mr Steinitz said.